The Florida Wildlife Conservation Commission (FWC) and Mote Marine Laboratory are asking the public for help in determining who drove over eight sea turtle nests near Turtle Beach on Siesta Key on June 22, including a newly laid, unmarked nest. Anyone with information about the incident is asked to call FWC’s wildlife alert hotline at 888-404-FWCC (3922). “Upon Mote’s initial inspection, there was no obvious damage to eggs,” a Mote news release said, “but it is difficult to assess the damage done to each nest without disturbing the nest further.” Thus, Mote scientists may not know the potential impacts on each nest until they hatch, the release added. “Sea turtles are protected under federal and state laws as well as local ordinances,” the Mote release emphasized. “Harming sea turtles, their nests or eggs is illegal and can result in serious fines or even jail time,” it added. Homer reported the incident to the Sarasota County Sheriff’s Office on the morning of June 22. The Mote news release said that a small vehicle dislodged the stakes around the seven nests that had been discovered prior to the incident. The Sheriff’s Office report noted that the vehicle that drove over the nests started its path at Turtle Beach Park and returned there. “Mote’s Sea Turtle Patrol found the damage and tracks from a golf cart or all-terrain vehicle (ATV),” the Mote release pointed out. “FWC officers conducted an initial investigation,” the release explained, but it was inconclusive because so little additional evidence was found. It was difficult, too, he said, to determine with certainty the type of vehicle that was involved. Golf carts and ATVs use similar types of tires, he noted. If you encounter a nesting turtle or hatchlings, remain quiet and observe from a distance. Shield or turn off outdoor lights that are visible on the beach from May through October. 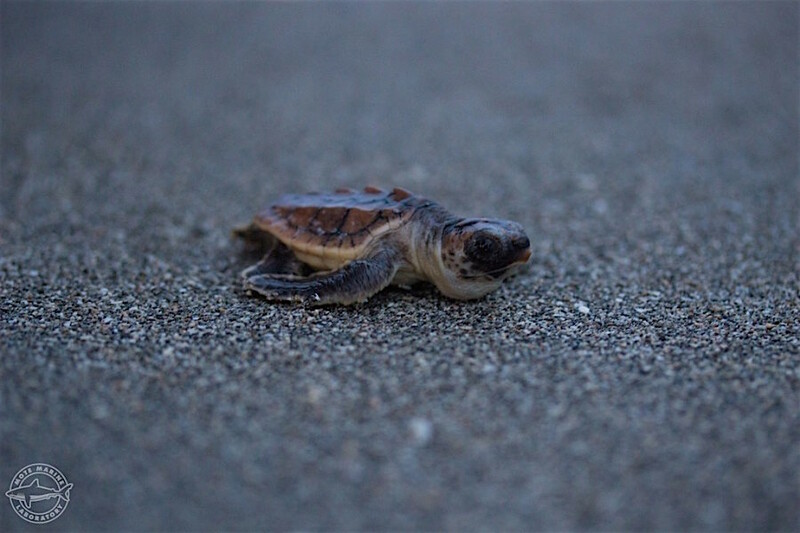 Artificial lights visible from the beach can disorient and attract sea turtles, particularly hatchlings that should be crawling toward the water. Stack beach furniture at the dune line or, ideally, remove it from the beach. Fill in holes that may entrap hatchlings on their way to the water. Do not approach nesting turtles or hatchlings, make noise or shine lights at turtles. Do not use flashlights or fishing lamps on the beach. Do not encourage a turtle to move while nesting or pick up hatchlings that have emerged and are heading for the water. Do no use fireworks on the beach. 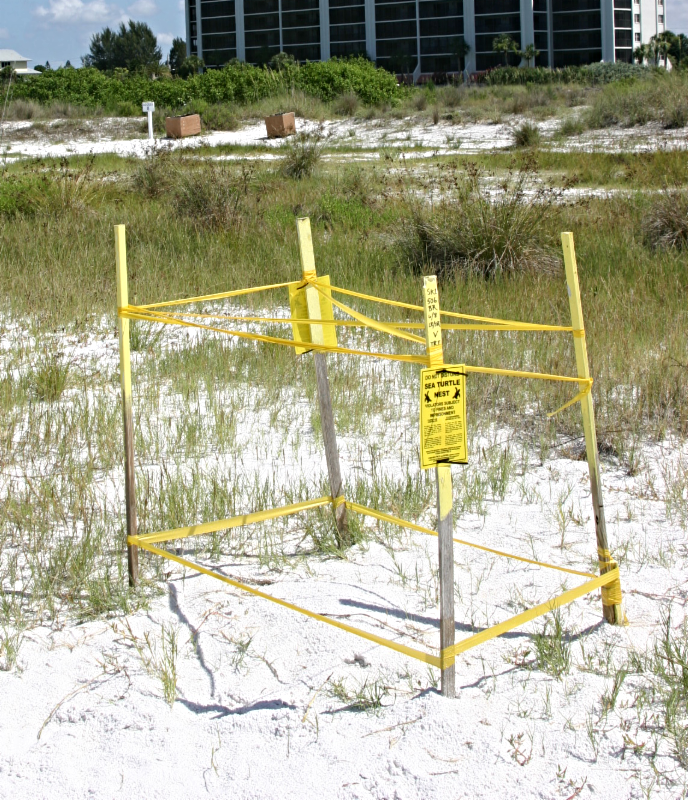 Do not interfere with sea turtle nests marked with stakes and flagging tape. From Longboat Key through Venice, beachgoers should wait until at least sunrise to set up furniture or equipment, the release explained. This will allow any new turtle crawls and nests to be documented by Mote scientists. 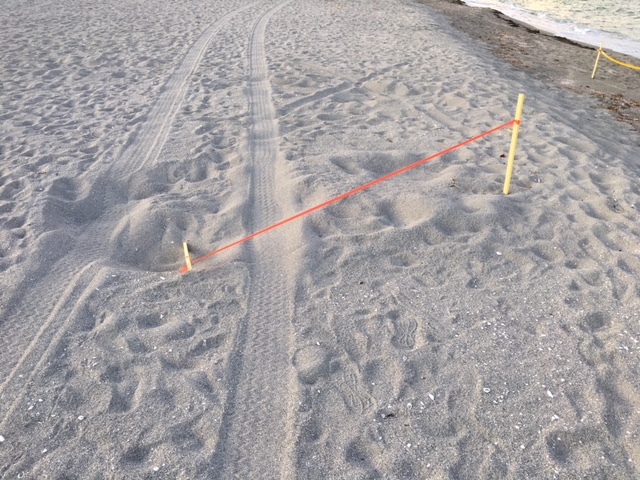 “If you see turtle tracks not yet documented by Mote (documented tracks are crossed out with an “X” in the sand), please avoid placing furniture on them and call Mote’s Turtle Patrol at 941-388-4331 to report their location,” the release continued. Tracks that are marked with small flags “have been found by Mote volunteers but are awaiting documentation,” the release added. Furthermore, dogs are not allowed on Sarasota County beaches other than Brohard Paw Park in Venice, where they must be leashed or under voice control, according to county ordinances, the release pointed out.